Napoleon and Wellington are certainly one of historical past’s most enticing pairings, vividly symbolising the hostile nature of French and English members of the family within the 17th century. Simon Scarrow brings this progressive time to existence on this bright historic account. 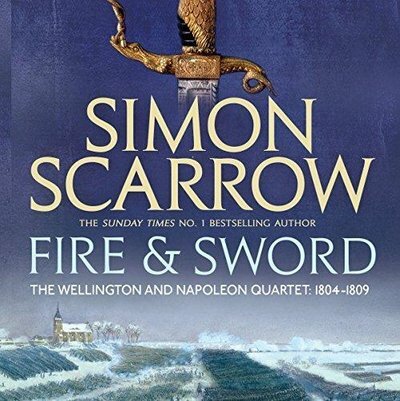 Fire and Sword is the pause-resisting 3rd novel in Simon Scarrow’s best-selling Wellington and Napoleon Quartet. A must-listen for enthusiasts of Robert Harris. It’s 1804. Napoleon Bonaparte is emperor of France, his final goal to rule Europe. After defeat on the Battle of Trafalgar, he wins an excellent victory towards Austria at Austerlitz. He then deposes the Spanish king and puts his personal brother at the throne. But he’s but to conquer his maximum hated enemy: Great Britain. Arthur Wellesley (the longer term Duke of Wellington) throws himself into the British marketing campaign in Europe. After glory in Portugal, he instructions the military in a chain of triumphant battles throughout Spain. For the ones dwelling reluctantly beneath French rule, his victories counsel that Napoleon’s growth isn’t inexorable: freedom can also be restored.